Goals-based planning is great—assuming clients have meaningful, well-defined goals. However, this is often not the case. Join us for an insight-packed conversation with Mark Nagle, Executive Director of Treysta Wealth Management, who has created an excellent process for the otherwise ‘squishy’ area of values discovery that helps clients define goals (and make trade-offs) based on their values. All client-facing financial planners and advisors + leaders of advice/planning firms. The content focuses on providing real examples of best practice, which will help planners and leaders put in place a repeatable, structured approach to understanding the often fuzzy domain of client values. Mark Nagle is an Executive Director at Treysta Financial Life Management where he has been instrumental in developing a new breed of advice with roots in Behavioural Finance and Applied Psychology. This approach aims to understand the core values that drive individuals and then assist them in making better financial decisions, aligned with these values, that will support the life they choose to lead. 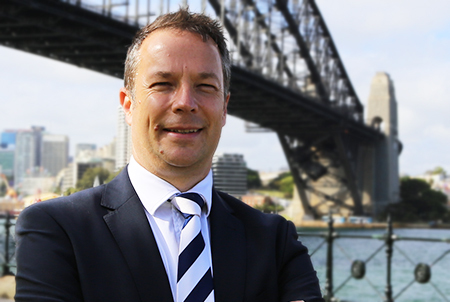 Mark’s vision for Treysta is to build a strong presence that can positively influence the Australian advice industry and provide the market with a visible and intelligent alternative to traditional financial advice.